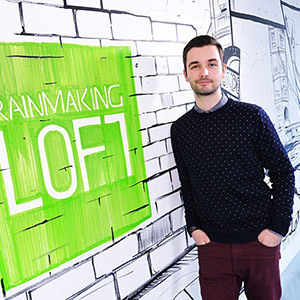 Oli is the Co-Founder and Managing Director of Rainmaking Loft, a startup hub in St. Katharine Docks in London and Small Step Ventures, an early stage investment fund. Oli founded 4AM, a web design agency focused on automating the process of presenting magazines online. In 2003 Oli joined the Corporate Development department at MasterCard and has since held various posts in the financial services industry, including several years in Consumer and Retail focused Private Equity and a year in Luxury Branded Goods focused Private Equity. Oli holds a BSc degree in Business Administration from Reykjavik Univeristy and an MBA degree from Harvard Business School. He sits on the Investment Screening Committee for Harvard Business School Angels Alumni of London.